This letter was sent to us by Chloe’s mother, Amy Bredeson of Bluffton, SC. Chloe receives healthcare coverage through the Medicaid TEFRA program. The letter paints a powerful picture of what is at stake if Medicaid funding is reduced through the GOP’s proposed “per capita cap” system. Her letter is not only the words of a mother pleading on behalf of her daughter, but it represents the message of the millions demanding that Congress Save Our Care! Members of Congress need to hear from YOU. For Chloe and the millions of other children, Seniors and low-income folks on Medicaid, call Congress TODAY—866-426-2631! In 2010, my daughter, Chloe, was diagnosed with a rare, life-threatening genetic disease called tuberous sclerosis complex and shortly after another life-threatening disease called polycystic kidney disease. Just the first few days in the hospital would’ve bankrupted our family if it were not for the Katie Beckett Waiver, which allows children with certain disabilities to receive Medicaid. I can’t even imagine how much Chloe’s medical care would’ve cost us over the past seven years, but I’m sure we could not have afforded it. 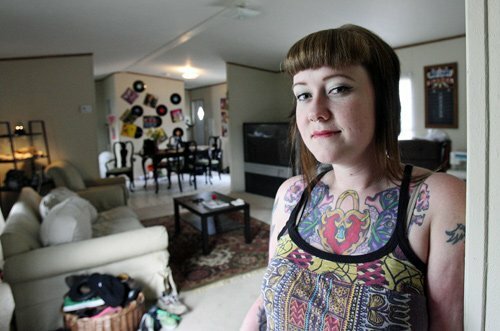 Chloe takes several medications, including one that costs $15,000 a month without insurance. 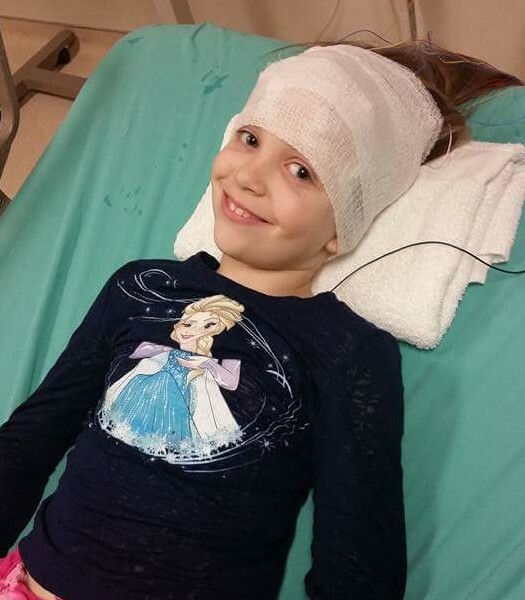 She has yearly MRIs of her brain and abdomen, periodic echocardiograms, EEGs, ophthalmology and neuropsychological exams, as well as regular appointments with a neurologist, nephrologist, cardiologist, pediatrician, ophthalmologist and neuropsychologist. She has done physical therapy, occupational therapy and speech therapy for years. If it weren’t for the insurance Chloe receives through the Katie Beckett Waiver, we could not afford to give our daughter the care she so desperately needs. Even with private health insurance, we would not be able to cover the copays and deductibles. This Medicaid waiver has filled in the gaps and given us the chance to take our daughter to the most experienced specialists in the world. 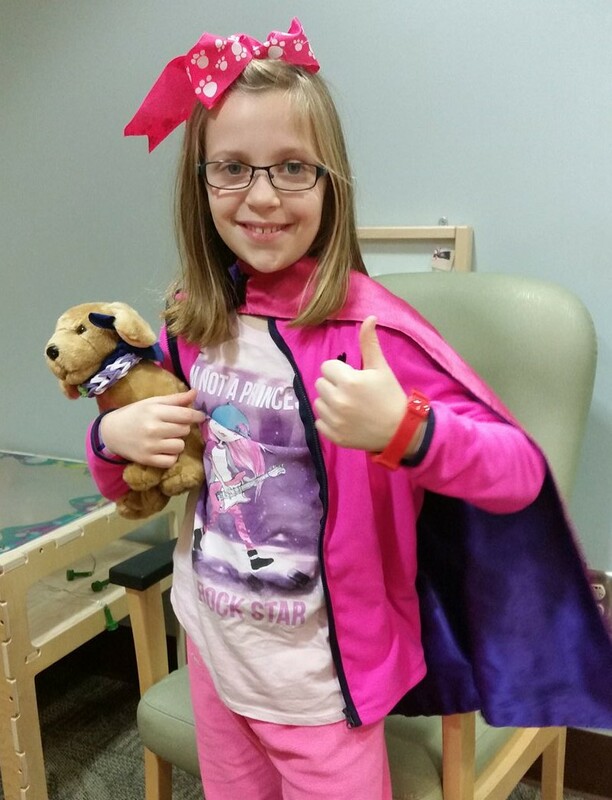 Because Medicaid has covered the cost of those visits, tests and medications, Chloe is doing extremely well at age 10. She has been seizure free for almost four years! Her brain tumor has shrunk. Her kidney cysts have shrunk, and some have even disappeared! Her blood pressure, which was 165/80 at diagnosis at age 3, is much better now with the two blood pressure medications she takes. Because of the therapy Chloe has had over the years, she is able to accomplish everyday tasks much easier. She is now able to focus and complete her schoolwork. 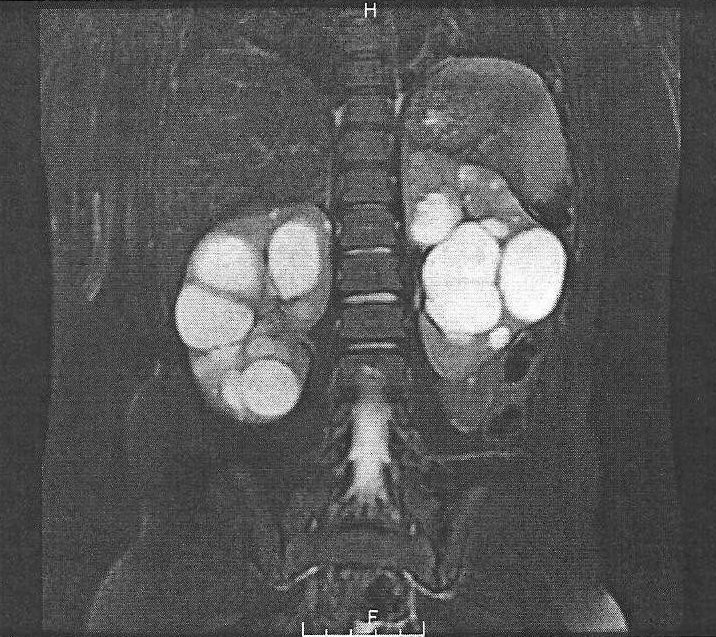 Chloe’s kidneys in 2011—before she began treatment with the $12,000 per month drug. 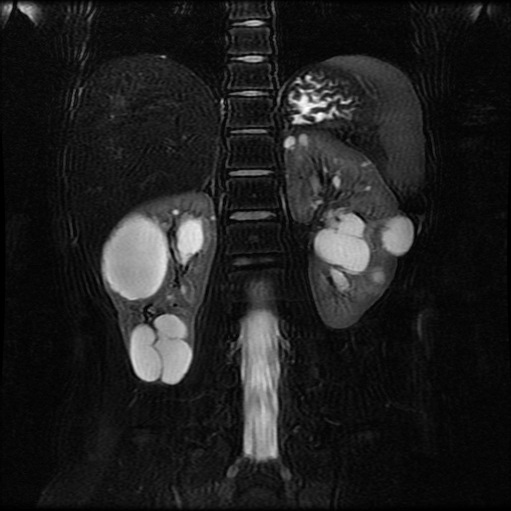 Chloe’s kidneys in 2015—the cysts are much smaller and some are gone! All of these triumphs over the devastating effects of tuberous sclerosis complex and polycystic kidney disease might not have been possible if it weren’t for Medicaid. In fact, Chloe might not even be here with us today if it weren’t for Medicaid. 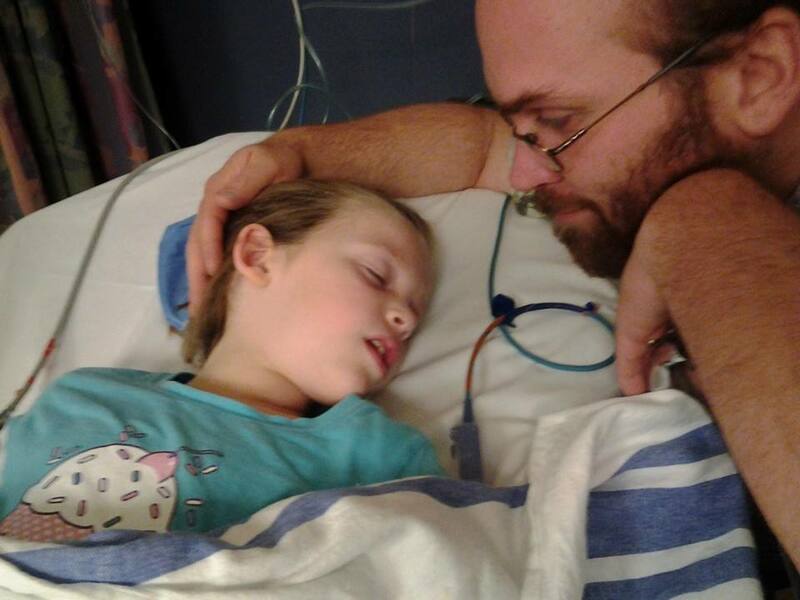 Please remember Chloe and other special needs children when you are deciding what to do about healthcare. Please do not take away her insurance. This would have catastrophic effects on her life, possibly cutting it shorter and making it much more difficult. ← FamiliesUSA: Actually Mr. President, the Affordable Care Act Has Been a Huge Success in Kentucky.